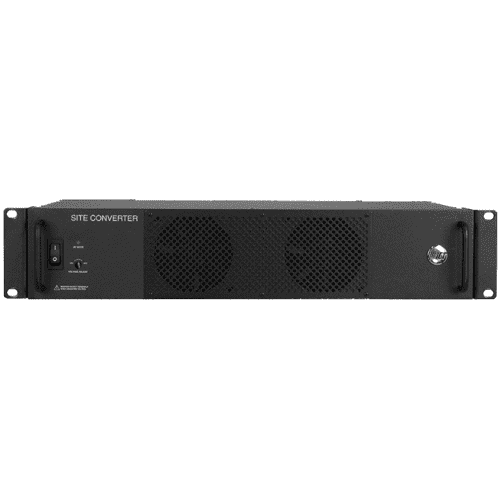 Amps or 100 Amps of peak current. Efficiency is 90%, meaning less energy will be lost in the conversion process. The Site Converter is fully isolated, and can be used in positive or negative ground environments. The wide-ranging input voltage is also ideal for sites where the DC voltage may fluctuate. The Site Converter’s built-in protection features protect the converter as well as the connected loads from abnormalities. Output voltage is adjustable between 12.5 and 14.5VDC or 25 and 29VDC using a front-mounted trim pot. 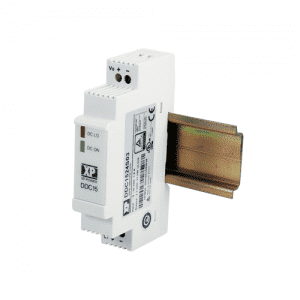 A remote alarm contact will signal when DC fails or the converter shuts down. A remote contact terminal allows the converter to be shut down remotely for servicing or to conserve the battery when not in use. 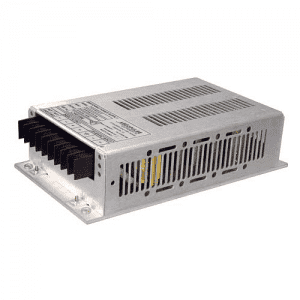 The wide-ranging 20-60 volt DC input means the same Site Converter can be used with both 24 or 48 volt DC inputs to provide clean, efficient 12 or 24 volt DC power output. 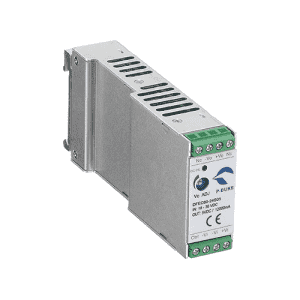 The output voltage can be adjusted to allow for line drop, or for loads that have a very specific input voltage requirement. The remote alarm terminals will send a signal in the event of a failure. 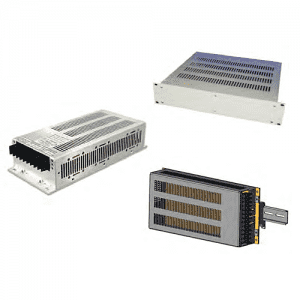 Reliability is achieved through careful design that virtually eliminates internal wiring and connections that can fail. 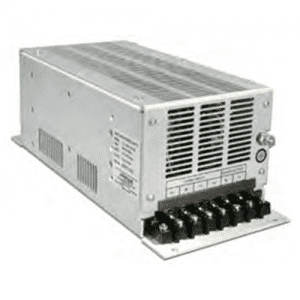 Wide input voltage ranges are less susceptible to voltage spikes and drops. Every unit is extensively tested before it leaves the factory. 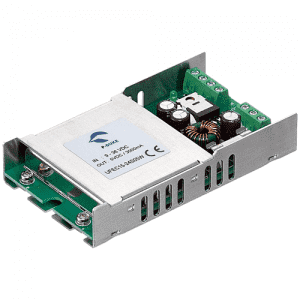 ICT DC-DC Converters have a proven track record of reliability over years of field service. a) Factory set to 13.8VDC. b) Factory set to 27.6VDC. 4:1 wide Input range 9-36V & 18-75V.